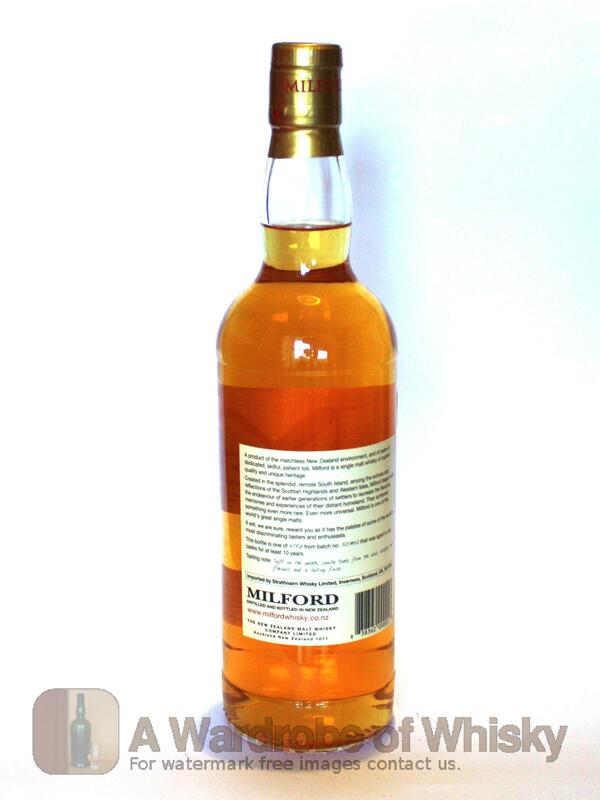 Milford is made by New Zealand's only distillery, and is inspired by subtly peat smoked single malts of Scotland. 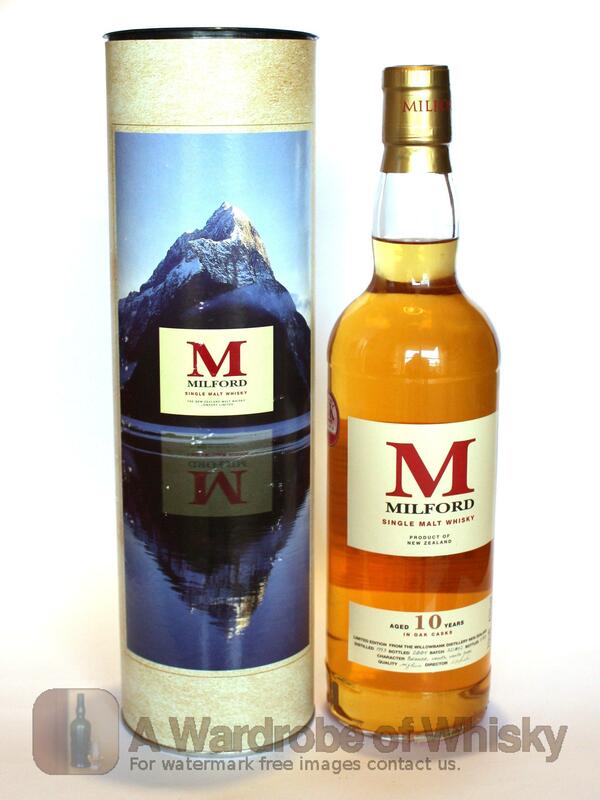 This unique whisky displays compelling aromatics of wildflowers, honey, vanilla, leather, bitter almond, cinnamon, nutmeg, ginger, and a hint of smoke with a pronounced minerality. 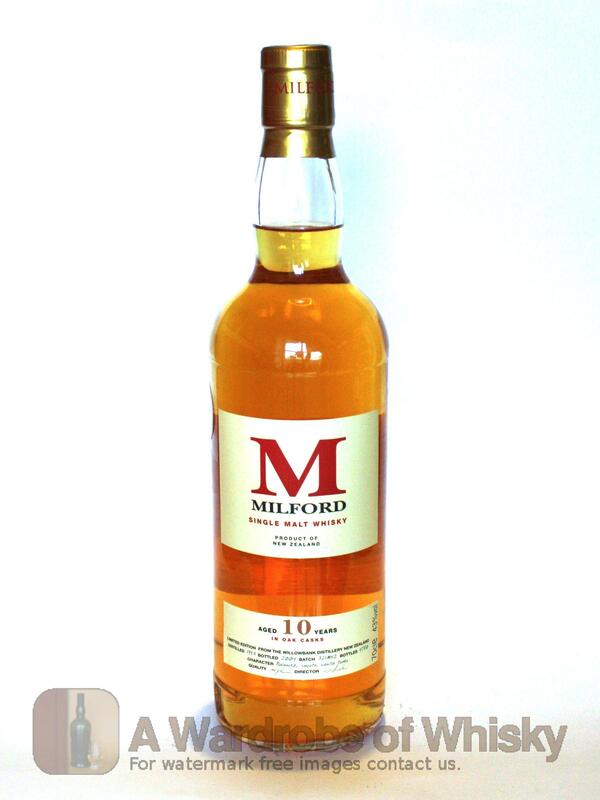 The palate is creamy and mellifluous with hints of black pepper, anise and grapefruit.